A Pair of Monster Mini XL Athlete Band 1/2"
The Monster Mini XL Athlete Band is a 41" continuous loop rubber latex band that offers up to 35 pounds of resistance. The band's width is 1/2 inch. This excellent and durable band comes with a one year warranty. 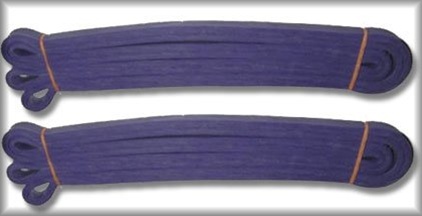 A Pair of Mini XL Athlete Band 1/2"